Hunting is a great sport which is very popular all over the world. It is one of the things that lets people use the great outdoors to enjoy connecting with nature. Some do it as a hobby or leisure while others do so to provide game consumption. Some simply do it for fun, sustainability and health or tradition. No matter which reason you have for hunting, these 11 tips every hunter should know about are very important. If you are a new hunter or just getting into foraging then there are several things to consider. Hunting is not like other hobbies or sports since it requires a lot of attention to details. Not just for being able to catch your prey, but also because it involves using a firearm or some form of a weapon to do so. That makes it very important to know these tips since they can keep you and others safe. Moreover, using the tips other hunters have already perfected, can make your hunting experience more successful. The first thing you want to make sure of when you go hunting is that you are legal. This means ascertaining that you have all the necessary paperwork for you to use a firearm or any other weapons. You should also be sure all of your hunting licenses and fees are up to date. Every state has different regulations and rules. Being aware of them will always safeguard that you don’t break any of their laws. If there’s one thing you want to do before you go on a hunting trip, it is making sure you are prepared. This means doing some research into whatever it is you are hunting. In addition, you also need to know about your surroundings and where it is you are going. Lastly, make sure you check off all of the things you know that you will need and perhaps others you may not, just in case. Make a check off list to guarantee you have necessities such as water proof matches, lighters, a map, medicine, cup, two-way radio, and so on. Nothing will ruin a hunting outing more than a lack of patience. In fact, anyone who lacks patience should consider doing something else since it is a key element of the sport. For anyone who brings along a partner who is in hurry to shoot something, it can be a huge problem. Not only that, it can be a tragic and dangerous one. A great hunter has to be patient and wait for his or her right moment. Not waiting to get a good shot can result in losing your prey, an accident, or worse. Just like having patience is a virtue when it comes to hunting, so is taking it slow. 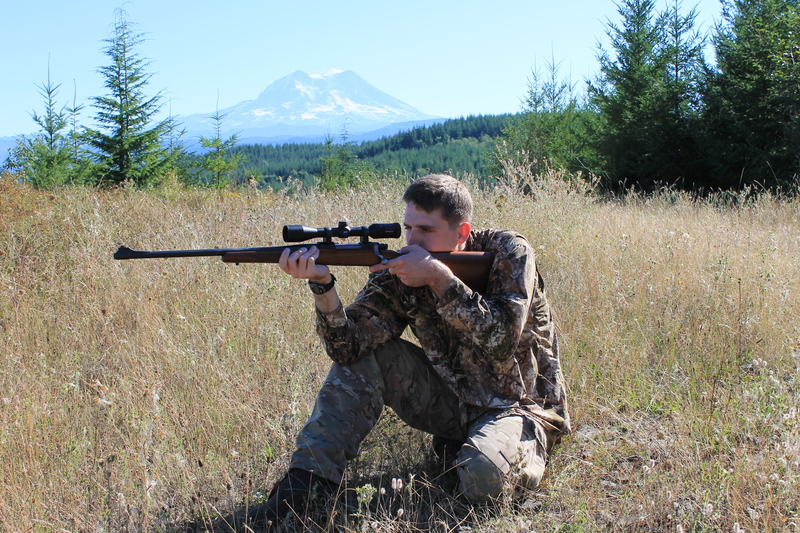 While it may sound the same, taking it slow when hunting refers to still-hunting. This means staying put in one area for at least 5 to 10 minutes. Sitting quietly and still is what usually causes the prey to surface. Standing still for a few minutes will also force you to stay calm, quiet, and silent. And those things are what make good hunters even better. Although it may go without saying, making sure you bring a compass and use it during hunting outings is essential. Apart from helping you if you get lost, it will also point you in the direction you want to go. Using a compass will orient you to pick your spots and get you to exactly where you want or need to be. Another tool you should make sure you have with you when you go hunting is a watch. Having a watch will not only let you keep track of time, it will also let you know how long you been in one particular place. It is very easy for people to lose track of time when they are having fun or not paying attention. The best satisfaction a hunter can get is knowing his or her prey, surroundings, and habitat. Learning the game of hunting and all that there is about each adventure will help you become a better and more efficient hunter. In addition, it will also protect you and those around you. The tactics you may use for hunting deer don’t necessarily apply for other prey and vice versa. Nothing will guarantee more success for a hunter than his or her shooting positions. Having a bad shooting position can cause you to lose getting a great shot at your prey. It is recommended that you locate and have your shooting positions prepared beforehand. Ensuring that things such as debris, twigs, or brushes are out of the way before are extremely important. Waiting to move or clear them on the day of the hunt can startle your prey and give away your position. Using the right equipment while on a hunt is a sure way to guarantee a successful outing. Depending on what you are hunting, confirming that you have the right gear for that particular game is key. Shotguns are good for fowl, while hunting rifles are great for deer and large prey. Using the right camouflage gear depending on your area will also go a long way to avoid detection. The better the quality of your equipment is, the higher your chances for success will be. The same goes for using the right gear for each individual hunting outing or situation. Every hunter out there should be ethical and follow the rules and laws. There are 2 different types of laws to follow. One is making sure you protect the people around you and the resources. Second, it is the laws and regulations established by states and governments. The right moral behavior on the hunting field guarantees the future of the sport. They also ensure the safety of other hunters, civilians, and creatures. When it’s all said and done, nothing is more important in hunting than practicing safety. Not following safety procedures or using the right judgment can result in danger or tragedy. Remember that there may be other hunters out there with you that you may not be aware of. Always take a hunter’s safety course before embarking on your hunt. Before you release your bow string or pull the trigger, keep in mind the importance of identifying your target. Unless you miss, once that trigger is pulled, there is no taking the shot back. Bio: Gilbert is an outdoor enthusiast who loves golf, hunting and writing. Apart from working in marketing, he does entrepreneurial work involving his websites. One of them is CaddyPool where he helps people find assistance via tips, reviews and other helpful information.